We are a training institute in Bangalore that takes pride in teaching foreign languages such as French, German, Japanese and Spanish. We also offer tailor made courses in English to improve fluency, with levels starting from basic, advanced and Career/Business as per your requirement. Guidance and training for English competitive exams like GRE, TOEFL, IELTS (academic and general) and PTE is also provided. In addition we help develop personality through soft skills training. We hire Experienced Teachers / Faculties and industry experts in order to ensure International training standards. Our Motto is to provide the best coaching. Hence we provide tailored courses for all types of students, whether beginner level or expert level. Our courses range from crash course to that of long term courses. The classes are accompanied with authentic course materials, live examples, audios, videos, discussion, case studies, group study, practice test and interactive study tasks. We are not just limited to training but also help you for exam preparation and better scoring. Since we have tie up with major universities such as GOETHE, we also help you to enroll for the examination. Our Foreign Languages Training / Coaching centers are located in Banashankari, Marathahalli and Jayanagar. For Banashankari and Jayanagar Branch please visit: http://iifls.com/ For Marathahalli Branch please visithttp://marathahalli.iifls.com. Our Jayanagar Branch is quite near to BTM Layout, Bannerghatta Road and JP nagar (lies within 2km diameter range). Visit any of our Branches to know about the Courses / Fees Structure / Exam Details and Weekend Classes. What constitutes IELTS Listening Test? What constitutes IELTS speaking test? GERMAN EXAM CERTIFICATION Guten Tag! Students, who wish to pursue their studies in Germany, will require a German language certification as per CEFR, to get an admission into their universities; our training program helps the students, to prepare for the German exam conducted by Goethe Institute (as per CEFR guidelines). We provide training for basic level (A1 & A2), intermediate level (B1 & B2), advanced level (C1 & C2). Many students find it difficult to clear the German exam conducted by Goethe Institute: our training program is tailor-made and customised with respect to the exam pattern followed by Goethe Institute. We have a verifiable track record of students securing good grades in the German A1 & A2 exams conducted by Goethe Institute. We provide proper attention to all students (max. 10 per batch) by arranging for extra classes, for those students who have missed a few classes. A person who wishes to travel to France with the perspective of a job, leisure travel or business trip, should know the bare minimum amount of French, learning French is an added advantage if migrating to Canada is on your mind, as it will fetch more points on the Express Entry System recently launched by the Canadian Government. Being a foreign languages training institute in Bangalore, we offer training for basic level (A1 & A2), intermediate level (B1 & B2), advanced level (C1 & C2). Upon completion of these levels, you can easily communicate with people and lead your day to day life without any hassles. Our certified French trainers have a rich experience in teaching. Japanese Language proficiency test is conducted twice a year. Our training program helps you to clear Japanese Language Proficiency Test (JLPT). We provide training for all levels: N1, N2, N3, N4 and N5. You can join here for the above levels and get a lot of benefits from our institute. The trainers with us are excellent and expert in training Japanese. You can speak Japanese in a short period of time. 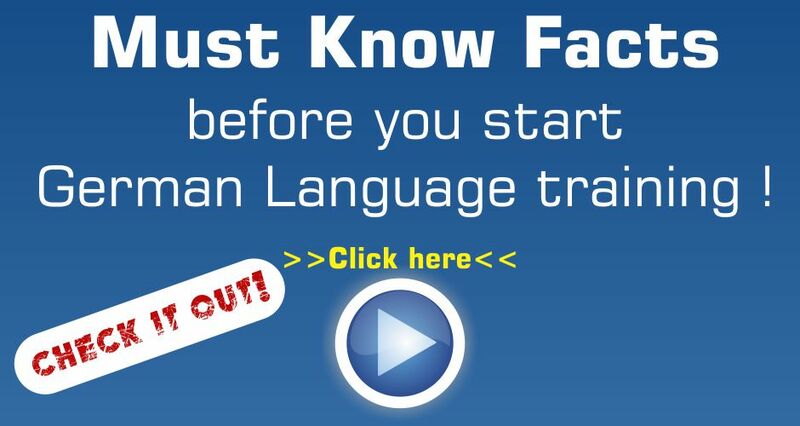 Today Spanish Language is also a language in demand. You can build your career through Spanish language aswell. We offer training for all levels such as A1, A2, B1, B2, C1 and C2 levels. Our Spanish language trainers are certified and are well experienced. If you are looking for a Business English Training Institute in Bangalore, Indian Institute of Foreign Languages is an excellent Institute for you. Because after completing this course you can appear for exam conducted by Cambridge University. Our institute provides training for all levels such as Business preliminary (BEC Preliminary), Business Vantage (BEC Vantage) and Business Higher (BEC Higher). Our Business English teachers all are professionally certified and have outstanding knowledge; they will teach you to apply for various certification tests. We offer two modules- General and Academic. These two modules have four different levels. They are Listening, Reading, Writing and Speaking. Our excellent trainers will teach you all the above modules and levels. Our study material also includes previous year test papers that helps you test your preparation level for the exam. We also conduct frequent test during the course period. If you are weak in English and don’t have good fluency in English, don’t worry. We can help you learn English. Just join us at Indian Institute of Foreign Languages and have your dreams come true. Our qualified trainers will give you the best tips and advice to develop your spoken English skills. They will teach you with a lot of examples. At the end of the course you will be capable of speaking English fluently. Improve your Personality Development at Indian Institute of Foreign Languages’, Foreign Language Training Institute in Bangalore. Our expert trainers will develop your personality by helping you to indulge in conversations, Dress up well, be encouraging, maintain good Body Language (Eye contact, Body Posture, Hand shake), be yourself, and to have a Positive approach with confidence. Our institute, Indian Institute of Foreign Languages, being a Foreign Language Training Institute in Bangalore is one of the leading training centres. You can become an expert in the language you prefer and also get a job assistance from us. For any other privileges please feel free to call us. Indian Institute of Foreign Languages offers a one shop stop for all your foreign language needs. Must know factors before Choosing German language training institute…. Certificate you are getting after training is valid for higher education & job in Germany..?? Course fee is inclusive of international certification exam fee or Just internal exam fee of institute ..
What is the syllabus covered..? planning to learn German language ..? ?